Cecilia Abbott thanks many supporters at the GOP headquarters Thursday Sept.07,2017 in McAllen. 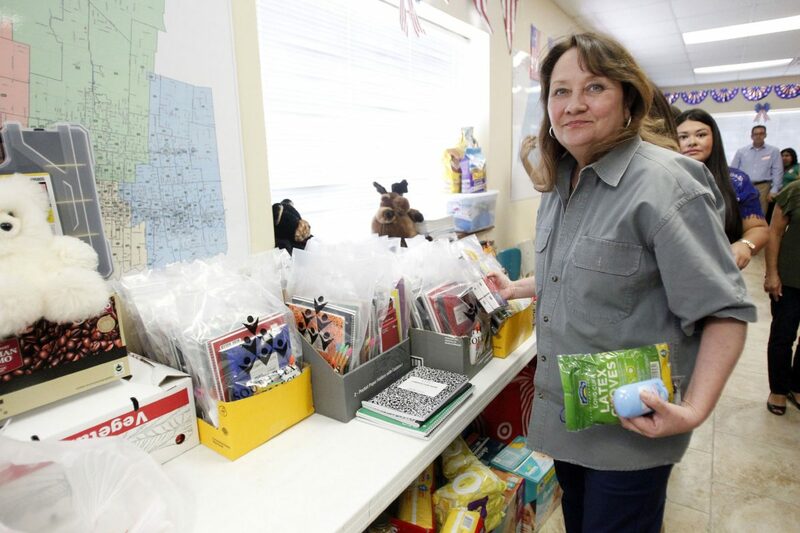 Ms. Abbott was in town for relief efforts and donations for Hurricane Harvey victims. 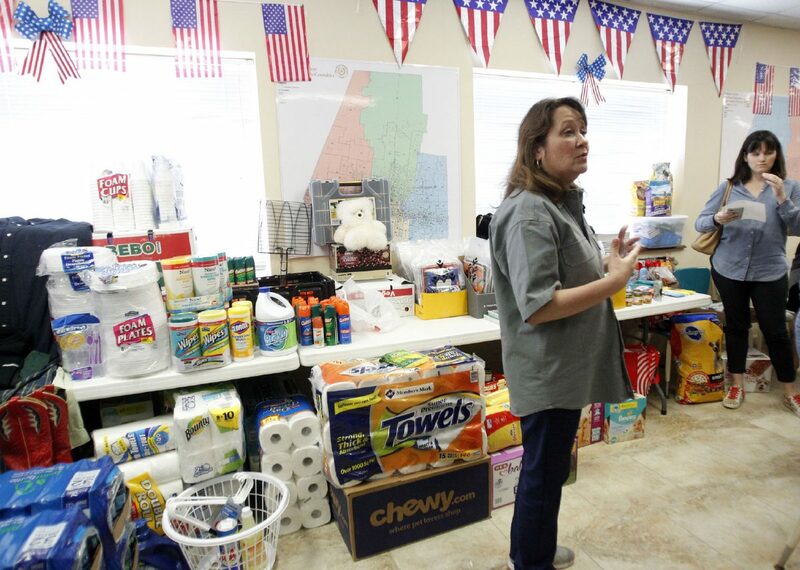 McALLEN — Standing in front of stacked cases of water, disinfecting wipes and other supplies headed to the Gulf Coast, Texas first lady Cecilia Abbott on Thursday described the devastation left in the wake of Hurricane Harvey, prompting continued need for such donations. 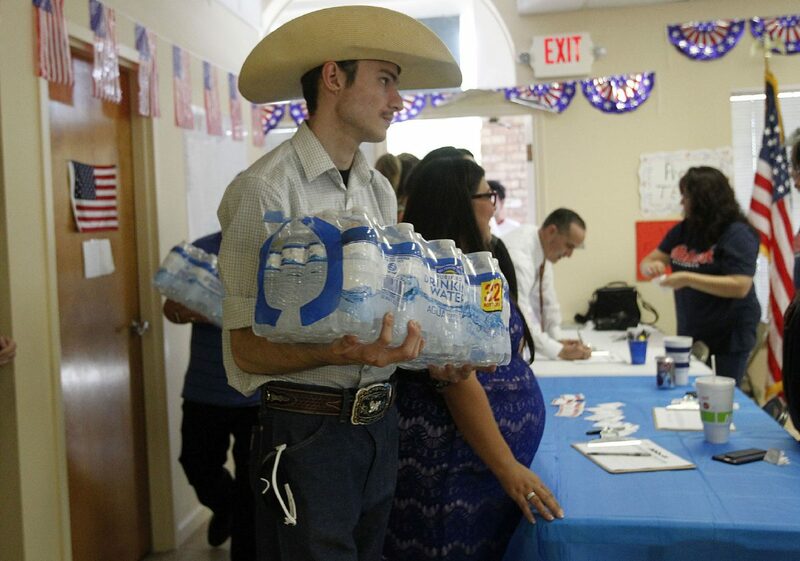 Although the donation drive Abbott attended was held at the Hidalgo County Republican Party headquarters on Thursday, donors stressed that their relief efforts, organized through the Food Bank of the Rio Grande Valley, were about helping those affected by the catastrophic flooding in storm-ravaged cities, such as Houston, Rockport, Port Aransas and Corpus Christi. Donations included bug spray, clothes, shoes and toiletries in addition to water and wipes. County GOP workers also encouraged anyone who wanted to donate money to direct funds to Rebuild Texas. Some people in attendance included Hidalgo County GOP Chair Sergio Sanchez, McAllen Mayor Jim Darling, McAllen Municipal Judge Ernie Aliseda and other local officials. Cecilia Abbott thanks supporters at the GOP headquarters Thursday Sept. 7, 2017 in McAllen. Abbott was in town for relief efforts and donations for Hurricane Harvey victims. One of the many volunteers helps bring in doantions to the GOP headquarters Thursday Sept. 7,2017 at GOP headquarters in McAllen. 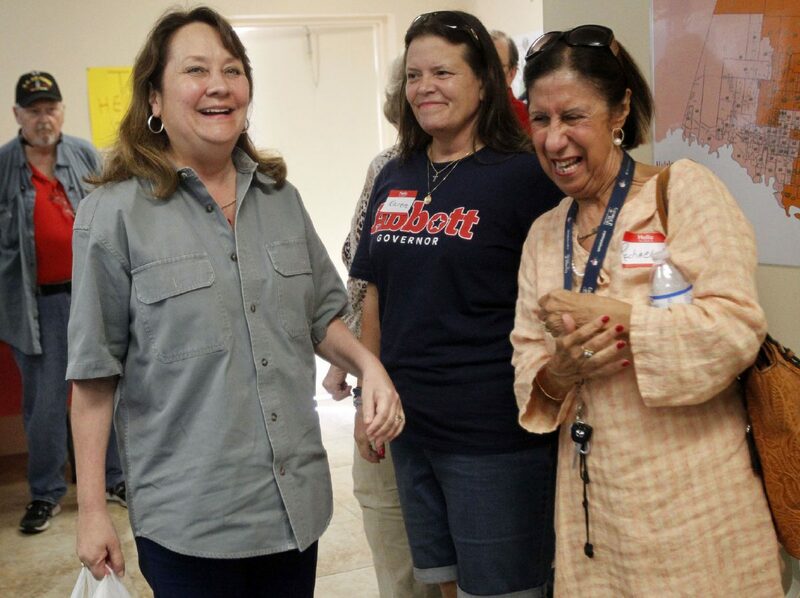 Cecilia Abbott thanks many supporters at the GOP headquarters Thursday Sept. 7,201 in McAllen. Ms. Abbott was in town for relief efforts and donations for Hurricane Harvey victims. Abbott had just arrived in McAllen from Port Aransas, where she said the “devastation” was “awful.” Meanwhile, her husband, Gov. Greg Abbott, has been trying to visit two cities per day since Harvey struck the Gulf Coast region. In addition to donations, helping the region rebuild will be the $15.25 billion the U.S. Senate passed Thursday for relief efforts. “Give some more,” Sanchez urged.